Notes: After a day at the computer, I realised I was short of a picture for today. But this evening, I went to a committee meeting at a club member’s house in Ingatestone. 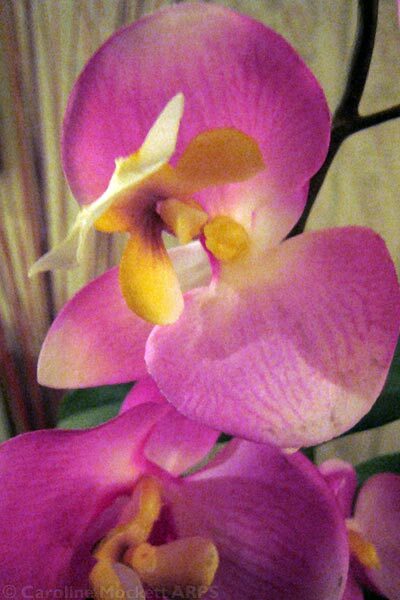 They had some rather nice silk orchids – so having taken a quick picture I then had a play with the filter gallery to jazz things up a bit.